The Project M² units emphasize the fostering of oral and written language as a learning tool and an integral component of the units to help students advance their understanding and comprehension. Several ideas are considered and revised as students get closer to accepted mathematical truths. In order to communicate in this manner, students need to work on problems that warrant this type of communication (NCTM, 2000). Worthwhile mathematical tasks include ones that focus on significant mathematics, take into account diverse ways of learning and understanding, engage students mentally, encourage students to problem solve and reason, and have multiple solutions and/or answers (NCTM, 1991). Speaker and listener roles build a conducive learning environment. Talk moves provide teachers with guidance on the kinds of questions to ask students. A Talk frame that helps teachers guide the discussion. It also can serve as a starting point for student writing. The Project M² units also help teachers support student learning about how to communicate mathematically through strategies focused on written communication. Written communication comes in many forms, such as words, drawings, and numbers. 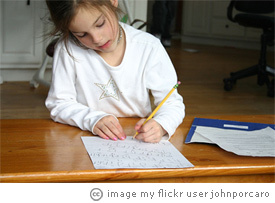 Writing is one of the vehicles advancing student understanding through reflection of one’s own and other’s ideas. The Think Deeply questions are a central feature of the units. In each Project M² unit, writers’ roles are outlined to build a supportive learning environment. The writing for the Think Deeply questions also is introduced in phases. Finally, guidance on how to support student writing is offered through the use of a writing center and teacher and student feedback.